Tens of thousands of people have protested against two planned pulp mills near Fray Bentos on the River Uruguay. A recent WRM report documents the social and environmental problems with the FSC-certified plantations which will provide raw material to the mills. By Chris Lang. Published in Robin Wood Magazine, August 2006. A major political dispute has broken out between Argentina and Uruguay about the proposed construction of two pulp mills in Uruguay. The pulp mills, planned to be located on the River Uruguay near Fray Bentos, have a combined production capacity of 1.5 million tons of pulp a year. With a total cost of US$1.8 billion, they would be Uruguay’s biggest ever foreign investment. But people in the region are concerned about the environmental impacts of these massive projects and have been protesting against them for several years. In October 2003, hundreds of people from Argentina and Uruguay planned a demonstration on the bridge linking the two countries near Fray Bentos. Security forces blocked the Uruguayans from crossing the bridge and only a small group was allowed across from the Argentinean side. Protests have continued. Greenpeace activists have occupied the construction site. On the Argentinean side, local people have blockaded the international bridge. In April 2005, some 40,000 people from Uruguay and Argentina organized a demonstration against the pulp mills on the bridge itself. In March 2006, Uruguay’s President Tabaré Vázquez agreed to Argentinean President Néstor Kirchner’s request to ask Finland’s Botnia and Spain’s ENCE to suspend construction of the pulp mills for 90 days, while a survey of the environmental impact of the two mills could be carried out. ENCE stopped construction, but, the Uruguayan Government found it could not prevent Botnia from continuing construction of its mill, because of an agreement that the Uruguayan Government signed with the Government of Finland: “Agreement with the Government of Finland regarding the promotion and protection of investment”. In effect this is an agreement with Botnia. Under the terms of the agreement, Botnia is assured of the constant support of the Uruguayan government. The agreement even forces the government to pay compensation to Botnia for any losses, caused by, among other things, riots. The Argentinean Government is so concerned about pollution from the pulp mills that it has taken Uruguay to the International Court of Justice in The Hague. 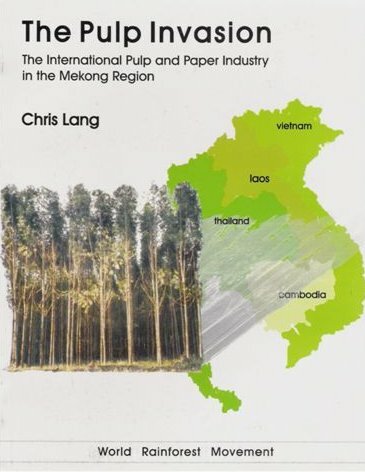 In June 2006, the Court heard two rounds of public hearings about the pulp mills. Argentina is arguing that Uruguay failed to notify Argentina of the proposed pulp mills and is therefore in breach of the 1975 Statute of the River Uruguay. Romina Picolotti, a human rights lawyer and founder of the Argentinean NGO Centre for Human Rights and Environment (CEDHA), explained during the public hearing that the site chosen for the two mills is the worst imaginable from the environmental point of view. While a final ruling will take two or three years, the court initially ruled in favour of Uruguay by declining to order a halt to construction of the mills. The court argued that Argentina had not provided evidence that the mills would cause irreparable damage to the river. The court also pointed out that the “threat of any such pollution is not imminent”, since the pulp mills will only start polluting when construction is completed – in August 2007 and June 2008. CEDHA has made formal complaints to the Organisation for Economic Co-operation and Development alleging breaches of the OECD’s Guidelines for Multinational Enterprises against Botnia, the Finnish export credit agency, Finnvera and the Nordic Bank Nordea. It has also issued complaints against a series of banks pointing out the pulp mill projects do not comply with the Equator Principles. In April 2006, the Dutch ING Bank pulled out of the Botnia project. The World Bank is considering a total of US$420 million in loans through the International Finance Corporation (IFC) as well as a US$300 million political risk guarantee for the Botnia mill through its Multilateral Investment Guarantee Agency (MIGA). The public protests against the project forced the Bank to reconsider its involvement and the projects have not yet been presented to the Bank’s Board for possible approval. CEDHA took out a complaint to the Bank’s Compliance Advisory Ombudsman (CAO) in September 2005. In its Preliminary Assessment Report, the CAO found IFC and MIGA to be in breach of their own social, environment and disclosure safeguard policies. The World Bank commissioned a Cumulative Impact Study to attempt to predict the combined impact of the two projects. The Uruguayan NGO Grupo Guayubira boycotted a public hearing on the study in February 2006, on the grounds that the purpose of the meeting was simply to achieve endorsement of the report. Guayubira had previously told World Bank officials that it considered the Cumulative Impact Study to be biased in favour of industrial plantation forestry and of the pulp mills. Guayubira recommended that the Bank demand the consulting company to improve substantially its report to enable it to serve as a basis for the broad consultation that the Bank wanted to carry out. In April 2006, the IFC released a report produced by a panel of experts commissioned to review comments on the Cumulative Impact Study. Despite the criticisms of both the process and the content of the study, the panel did not conclude that pulp mills should not be built (or at least that IFC should not fund them). Instead, the panel identified the need for more information and analysis about the environmental impacts of the projects. The panel also made a series of recommendations for technical improvements to the pulp mills. But pollution from the proposed pulp mills is not the only concern. The mills are to be fed with wood grown in thousands of hectares of eucalyptus monocultures. 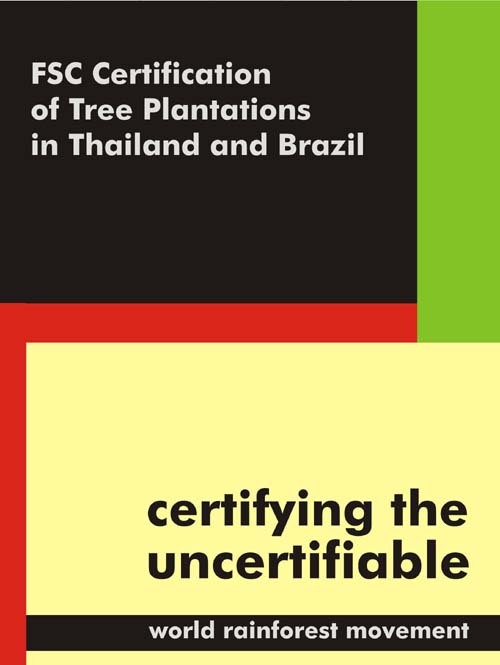 Although a large area of these plantations has been certified under the Forest Stewardship Council system as well managed, a recent study carried out by Ricardo Carrere of the World Rainforest Movement indicates serious problems associated with these industrial tree plantations. The work provided is dangerous and fewer jobs are available than on the ranches that many of the plantations replaced. Increased mechanisation is replacing many of the few jobs in the plantations. WRM’s researchers photographed workers’ accommodation – shacks and tents covered in plastic sheeting. Workers interviewed by WRM described their concerns about the use of chemicals on the plantations. One former-contractor on one of the plantations said he was in charge of eight people hired to apply herbicides and pesticides. They were not given any training, equipment or any means of protection, nor were they provided with drinking water, housing or bathroom facilities. “Everything that was used to apply the agrochemicals was then washed in the streams, when there were still streams,” he said. “If somebody passed out in the middle of the field, they would be taken to the hospital but then they would be right back the next day, because they had to keep working. The problem with agrotoxics is mainly a question of continued exposure. There was a person who worked for a long time on a tractor with agrotoxics and had horrible skin rashes. I had problems with an ulcer, gastritis, diarrhoea. I was actually lucky to get fired,” he told the researchers. Carrere concludes that FSC should withdraw the certificates as soon as possible and should stop certifying large scale monoculture tree plantations in Uruguay. 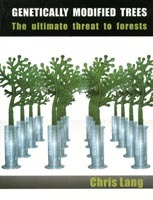 In supporting these projects, the World Bank, the commercial banks, the export credit agencies, FSC, the consulting firms and the machinery suppliers are supporting “the market”, but not the needs of the Uruguayan and Argentinean people, that will be negatively impacted by these pulp mills and their associated large scale tree monocultures. ← FSC Plantations Review: Raising the bar or lowering standards? NO… “Yes to Argentinian pulp mills, no to Uruguayan pulp mills” should be the slogan of Gualeguaychú activists. Argentina has his own pulp mills, all of them are obsolete, with old technology and the goverment can not control them. Entre Ríos also has one pulp mill (near Gualeguaychú city) named “Iby”. A small pulp mill but with high level of contamination. The local goverment has closed this pulp mill three or four times in the past, but they always opened again two days later. Nobody in Entre Ríos is shouting “No to Iby”, of course, because they WANT pulp mills in THEY territory (not in neighbour countries). WTF??? Is this a joke?? ¿Argentina is concerned about… pollution??? Give me a break, please! Argentina is one of the most contaminated countries in the continent! ¿Pulp mills? The goverment of Argentina, with Clarín and La Nación (the two biggest papers) OWN Papel Prensa, one of the oldest and dirtiest pulp mills in the entirely world! By the way… Papel Prensa denies entry into its area of professional member to monitor and control. Papel Prensa even even dismisses the claims of a judge who investigates cases of contamination of that factory. The position of the government and the activists of Gualeguaychú is fullfill of hypocrisy. Thanks for this comment Antonio. I agree that the pulp mills in Argentina are very polluting. I agree that the Argentinian government should do something about this pollution. And I agree that it would be great if people in Argentina protested about these pulp mills as well. Incidentally, it is not only people in Argentina who are opposed to Botnia’s pulp mill at Fray Bentos. There are also groups in Uruguay opposing it. In addition, it is not just a problem of pollution. The industrial tree plantations which provide the raw material for the pulp mill create their own environmental and social impacts for local communities. Really? Could you please give me some links -of this website- showing me your agreement? In your site, refering to Argentina & Uruguay, I only read “Botnia”, “Ence”, “Uruguay”. I can’t find anything about Papel Prensa (by the way, owned by the argentinian goverment), Capitán Bermúdez, Iby, Puerto Piray and son on. Pulp mills installed in Argentina, near the border with Paraguay, were denounced by contamination by the government of Paraguay. ¿Argentina? Silence. ¿Ecological organizations of Argentina? Silence. But, in the same time, the activits of Gualeguaychú forced the government of Argentina to denounce Uruguay by environmental pollution. It seems that Gualeguaychú could be an “island” in Argentina, a place where all people are environmental friendly. No way. Last year, more than 30.000 birds were killed in Gualeguaychú, cause poison traps. Also, because of the poison, many other species died. Last year, a chemical industry installed in Gualeguaychú exploded, causing several damages. But people in Gualeguaychú, since 2006, is announcing the risks of an explosion… in Fray Bentos. Bad works of the municipal workers! Yes, it’s true, there are some people opposed to Botnia in Uruguay. They’re the same people behind the “Asamblea Popular”, a new political organization that has the… 0.5% of voting intentions. 0.5% of all Uruguay. Zero popular representation. Zero popular support. This people – headed by “Delia Villalba”- have generated an anti-Botnia fight, supposedly in defense of the environment, but in reality their intentions were political. And, of course… this “fight” wasn’t “free”. 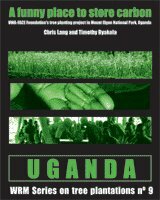 They have been receiving $$$ from many international foundations and organizations. Pulp mills the world over are very polluting. I’m sorry I’ve not written anything about the pulp mills in Argentina. 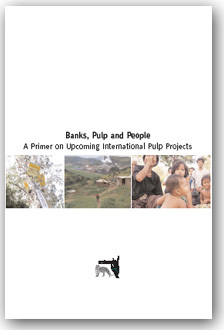 If it’s any consolation, I’ve not written anything about polluting pulp mills in many other countries. There are hundreds of pulp and paper companies that I’ve not written anything at all about. There are also hundreds of other companies (oil, steel, cement, aviation, car manufacturers, weapon manufacturers and so on) that I’ve written little or nothing about. Just because I’ve not written anything about them doesn’t mean that I think they are not causing problems. I have a suggestion. Why don’t you write an article about the polluting pulp mills in Argentina and send it to World Rainforest Movement. I’ll link to it from here. Another Uruguayan Group opposed to Botnia’s monoculture tree plantations is Grupo Guayubira, by the way. Pulp mills over the world WERE polluting. Since 2001, with the new laws and environmental requeriments, pulp mills ARE NOT contaminating the planet, nor emitting dioxins and furans. You know that nordic countries, with many many pulp and paper industries… are allways in the firsts places in every environmental ranking. 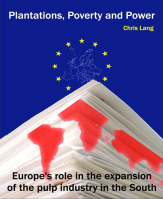 How can they be the best ecological countries… with “polluting industries”? You don’t write about pulp mills in Argentina, but you but applaud the alleged fight in a group of environmentalists (who are not) in the same country. Environmentalists that does not move a single finger to fight against their own contamination, but, on the opposite, they are blocking an international bridge since three years ago!! !, violating national and regional (MERCOSUR) laws. If you want to know about pollution of argentinian pulp mills… you should ask the members of the Asamblea Ciudadana Ambiental de Gualeguaychú. They are against Botnia.. I assume they know a lot about contamination. By the way… many of this “environmentalists” are… TRANSGENIC SOY producers, and they defend the use of agrotoxics! I know Grupo Guayubirá. I know Ricardo Carerre, one of the voices of this group. It’s the same speech of the ACAG, the same. “trees in Uruguay are bad”, “pulp mills in Uruguay are bad”.